Accessories are a way to express your individuality; that is why it is so frustrating when you see someone else sporting the same item that is supposed to set you apart from the pack. It’s even more frustrating when the accessories don’t come cheap, like designer handbags that cost thousands of dollars. Luckily, with iPad cases, few of them cost you thousands of dollars but a top-quality one with a great design will certainly set you back a few bucks. How can you show off your unique personality without having to shell out tons of cash and ensuring that your iPad is well-protected? 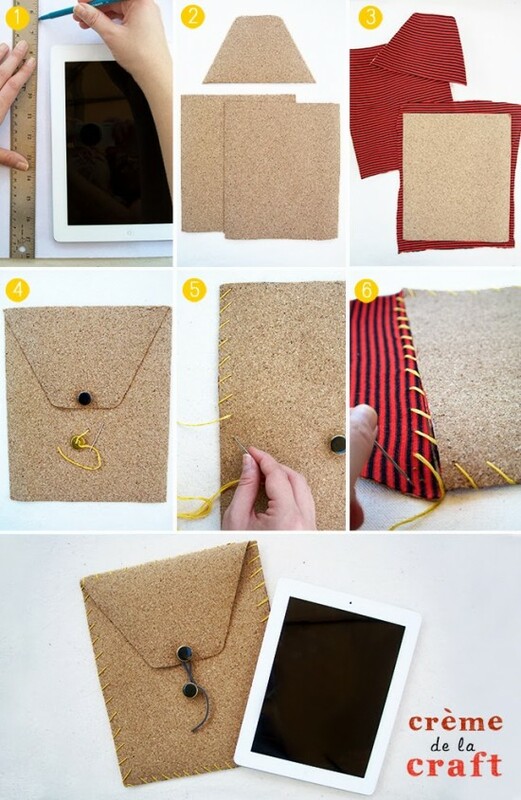 Through a DIY iPad case. Fortunately, there is an inexpensive solution to have a personalized iPad case that is also very fun – just do it yourself! Natalie from Crème de la craft has come up with an easy, step-by-step way that can be done by those that are not in the least bit artistic using pieces of self-adhesive cork and soft material such as an old t-shirt. First, gather your materials. In addition to self-adhesive cork and a soft material, you will need a ruler, scissors, a threading needle, a pen, embroidery floss, two buttons and some yarn. 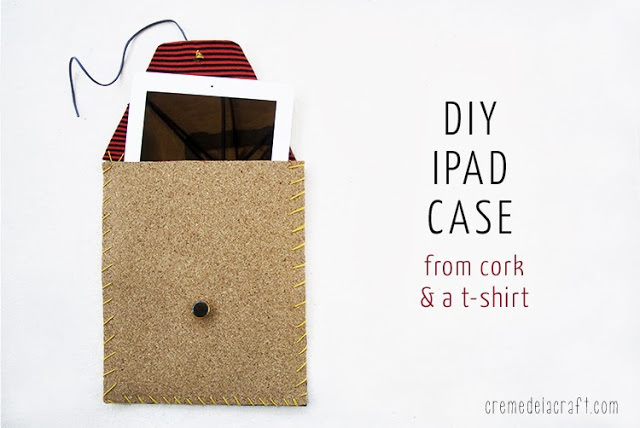 Next, place your iPad on top of one piece of cork which has the adhesive up. Put the ruler next your iPad and trace a line one inch from the device on every side, then cut along the line. Create an identical piece to make the front and back, then cut an additional piece to create a flap for your case. Now comes the part that will truly make your iPad one-of-a-kind; place your unique material onto one or both pieces of cork by peeling away with the adhesive backing and carefully applying it onto the surface (use the ruler to smooth out minor bumps). Afterwards, cut off the excess material. To make a string-and-button closure on the flap, sew one button onto the flap and the second button into the front of the case, then tie the yarn onto one of the buttons. The last part consists of putting it all together – determine if you would like the cork side or the fabric side facing out, then place the front and back pieces together. Stitch the flap to the top of the side that doesn’t have the button it, the stitch around the remaining three edges. And voila! There you have it – a completely original and inexpensive iPad case! 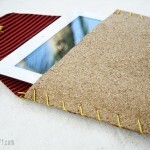 This entry was posted in DIY Projects and tagged DIY project, iPad Case, tablet case by csmith. Bookmark the permalink.